Given that there are hundreds and maybe even thousands of hostels and hotels in the Philippines, we have almost endless choices to choose from whenever we plan to travel or have a staycation. Of course, it would be easier to narrow down the list if we are already sure of the dates and the number of the guests. But for instance that these basics are already settled, what comes next? 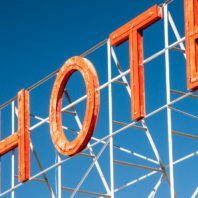 What should we think about when booking a hotel or resort? With all the stress that we experience in our daily lives in commuting or driving personal cars, we know how hellish traffic can get in the Philippines. On that note, we prioritize the location of the place first. Renting a van or bringing your car is an advantage, and distance of your accommodation to the places you will be visiting won’t matter that much. However, if you intend to relax, without thinking so much of the traffic and hassle of commuting, then go for somewhere that you can tolerate the trip. Assuming that you know the number of guests, you have to make sure that the room can house all of you – including your baggage and other stuff. It is not always about the size of the room or how big it is (but of course, we know it is a significant plus); but the quality. Are the beds and sheets okay? Are the appliances working in good condition? The structure and fixtures of the room itself? It would be a game changer if you can do ocular visits to your target hotels or resort. However, let us be realistic enough to acknowledge the fact that we don’t have the luxury of time and budget to go around the Metro or wherever. Just be careful because not all that is picturesque or “instaworthy” is really beautiful. The amount that we are paying for is not only for the beds or the room itself – it also includes other services and amenities. Some services come for free while others with extra fees like the massage or spa. As for the amenities, one of the favorites is swimming pool, then to be followed by gym, bar, in-house restaurant, and play area. With the number of hotels in the Philippines, you will get a lot offering different services and amenities. At the end of the day, the choice you will be making depends on your priority or to what you are looking for. Let us face it, especially for those who are traveling with a strict budget – money matters, and we are looking for something that will offer us an excellent value for what we have. Good thing, there are now third-party websites that show us different deals of hotels and resorts, local and international. Again, what we only need to be sure of are the dates and number of people. Aside from the third-party booking websites, we also have the social media (i.e. Facebook) in which bloggers or simple netizens post their tipid yet sulit experiences in different accommodations. Thanks to the power of the Internet, the hassle of price checking and matching has become this easy. Lastly, reviews and ratings from the people who already stayed in the place matters. Of course, it is not the end all and be all of your decision making on where to stay, but their words make a difference. It gives us an overview of what we can expect from our ideal hotel or resort. So why did we say that what their previous customers said should not be your sole basis of judgment? Because everything changes. Definitely not your typical hugot line because it’s true! There are a lot of factors that may have caused them to experience such. Don’t forget to check the date of the posted review before you cancel your reservation. The bad comments may have been written five or more than years ago, and their services already improved. Next time that you are going to plan your travel or staycation, you know have these simple give points to guide your decision. Have you been following these? If yes, share with us your experiences and how did it go, or if you have any other points for us to also look into. But if not yet, maybe you can give this a try and see if it will help your decision making regarding your accommodation easier. And hey, happy and safe travels!